The Elixir of Love is a comic opera in two acts by Gaetano Donizetti with a libretto in Italian by Felice Romani. You’ll love this romantic comedy, with its fun cast of characters and gorgeous music. Nemorino (Stephen Costello) a simple peasant, falls hopelessly in love with Adina (Ailyn Perez a last minute substitute for Ekaterina Siurina), a beautiful, feisty and fickle landowner who also happens to be the most eligible bachelorette in town. Nemorino is sweet but completely broke and lacking the swagger of Adina’s other suitor, Sergeant Belcore (Simone Alberghini). Enter the “elixir of love”, peddled by the traveling quack, Doctor Dulcamar (Nicola Ulivieri). Is it truly a magic elixir or just a bottle of cheap Bordeaux? Perhaps it doesn’t matter if it works. When the quack Doctor Dulcamara tells the village girls that Nemorino is suddenly rich they all chase after him, so Nemorino knows the potion works! Nemorino is convinced this “magical tonic” has now empowered him to win Adina’s affections, even as her wedding to Sergeant Belcore leaps into full swing. Will Nemorino’s newfound confidence and uninhibited charm melt Adina’s heart after all? This delightful comedy, overflows with melody and famous arias including the heartbreaking “Una furtiva lagrima”, a favorite of tenors and audiences. The Elixir of Love is cherished for its whimsical wit and enduring character, featuring non-stop twists and turns, Donizetti’s masterpiece is a beguiling combination of romance and comedy. 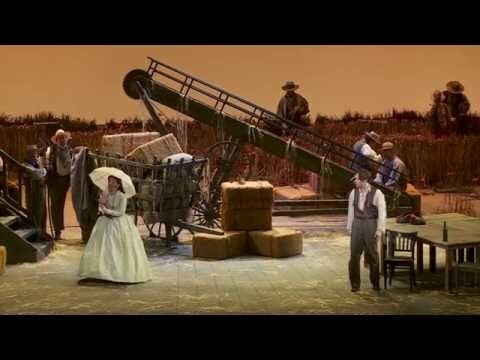 The set—a big barn, presumably in 19th century Italy but it could be anywhere—is well-designed but not terribly innovative, but the music and the singing made up for it. 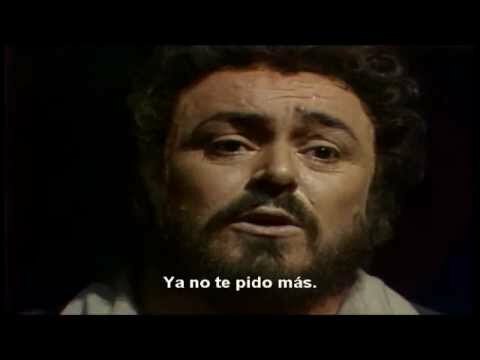 For your listening pleasure I have included two clips to enjoy, the first from the Kennedy Center production and the other from the departed Luciano Pavarotti. Enjoy and celebrate Spring.